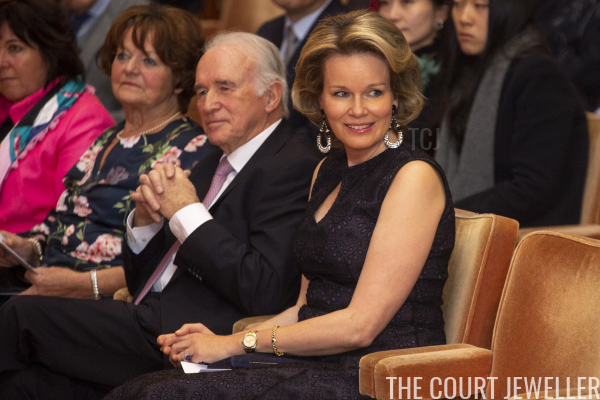 Queen Mathilde of the Belgians hit all the right notes with her outfit and accessories for a special concert held in Brussels on Saturday. 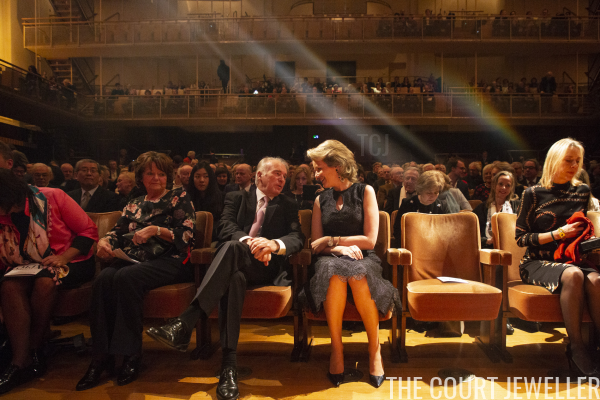 The special concert was organized to honor Baron Arie Van Lysebeth, pictured here with Mathilde as she arrived at the Palais des Beaux-Arts. 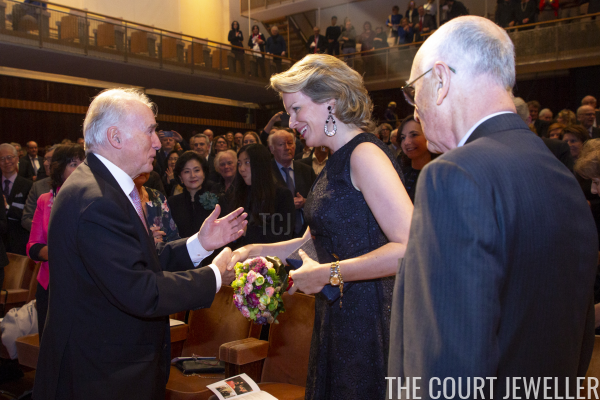 Van Lysebeth, a celebrated Belgian conductor, musician, and teacher, recently stepped down as chair of the jury of the Queen Elisabeth International Contest, a position he held for more than two decades. 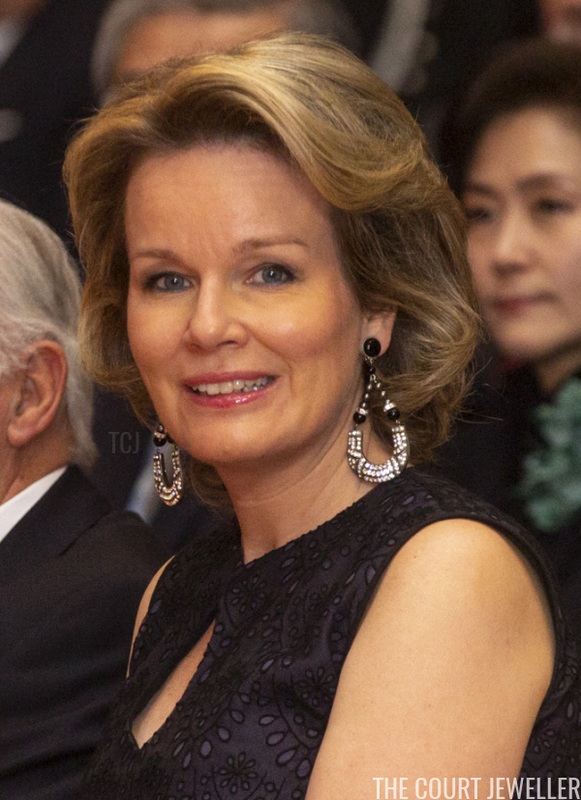 We all know how much Mathilde loves a good statement earring, and she didn't disappoint with her choice for the concert. 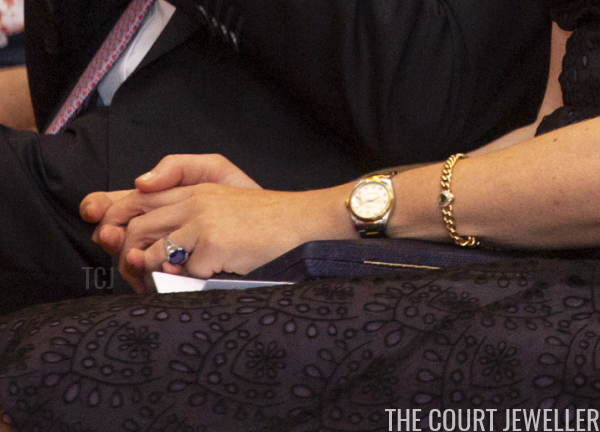 She also wore some of her standard pieces: her watch, her diamond and sapphire ring, and her gem-studded gold chain bracelet. The shape of the earrings neatly mimicked the eyelet design on her dress, as well as its keyhole neckline.